Since the early 1900s, abstract art has formed a central stream of modern art. Expressionism (early twentieth century): Expressionist artworks involved highly intense colour and non-naturalistic brushwork, often based on the artist’s inner feelings. Kandinsky saw his abstract paintings as an alternative pathway to spiritual reality. Cubism (from 1907/8): Cubist artworks always began with a subject from reality (often objects and figures), with its elements then broken down into distinct areas or planes, showing different viewpoints at the same time. Cubism directly influenced other forms of abstraction including constructivism, neo-plasticism and orphism. 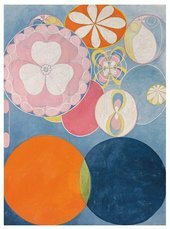 Orphism (1912–13): Coined by the French poet and art critic Guillaume Apollinaire. The name comes from the musician Orpheus in ancient Greek myths, as Apollinaire thought that painting should be like music. 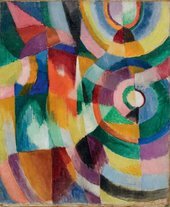 Main artists Robert Delaunay and Sonia Delaunay also used the term simultanism to describe their work of this period. Suprematism (1913): Malevich created a new form of abstraction in order to free art from the real world. As well as the ‘suprematist square,' Malevich developed a whole range of forms often produced in intense colours floating against a usually white ground. Constructivism (c.1917): Developed by the Russian avant-garde, the constructivists were influenced by the cubist three-dimensional abstract still lifes made from scrap materials. The constructivists made their own constructions made from industrial materials to reflect the dynamism of the modern world. 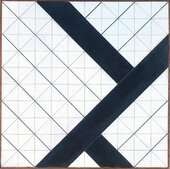 De Stijl / Neo-plasticism (c.1919): The movement, which aimed to create paintings in their ‘purest state’, was a direct response to the chaos of World War I. Only primary colours and non-colours were used in the form of squares, rectangles, straight, horizontal or vertical lines in order to stick to the core elements of painting: colour, line and form. Automatism (c.1920): Inspired by Freud’s idea of free association (the desire to reveal the unconscious mind), artists such as Joan Miro and Max Ernst created automatic paintings. This free way of creating art led to simplified organic shapes, which Miro developed into his own personal sign language. Action painting (1940–1950s): The action painter abstract expressionists were directly influenced by automatism. Pollock channelled this into producing gestural, improvised ‘drip paintings’ by placing his canvas on the ground and pouring paint onto it from the can or trailing it from the brush or a stick. 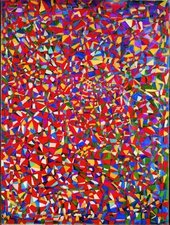 Colour field painting (1940–1950s): Another form of abstract expressionism, the colour field painters produced simple compositions made out of large soft-edged areas of colour with no obvious focus of attention, with the aim of producing a meditational response in the viewer. 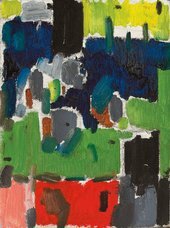 Post-painterly abstraction (1950s): This form of abstraction focused more than ever before on the basic elements of painting: form, colour, texture, scale, composition and were ruthless in their rejection of mysticism and of any reference to the external world. 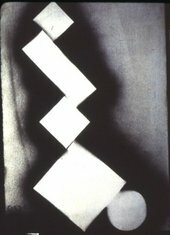 Hard edge painting (1960s): Seen as a subdivision of post-painterly abstraction this style of hard-edged geometric abstraction reacted to the more gestural forms of abstract expressionism by only using monochromatic fields of clean-edged colour which reinforced the flatness of the picture surface. Op art (1960s): Seen as a subdivision of post-painterly abstraction this style of hard-edged geometric abstraction reacted to the more gestural forms of abstract expressionism by only using monochromatic fields of clean-edged colour which reinforced the flatness of the picture surface. Cubist and fauvist artists depended on the visual world for their subject matter but opened the door for more extreme approaches to abstraction. Pioneers of ‘pure’ abstract painting were Kazimir Malevich and Piet Mondrian from about 1910–20. A pioneer of abstract sculpture, which took reference from the modern world was the Russian constructivist Naum Gabo. There are many theoretical ideas behind abstract art. 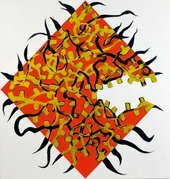 While some have taken the idea of 'art for art’s sake' (that art should be purely about the creation of beautiful effects), others have proposed art can or should be like music, in that just as music is patterns of sound, art’s effects should be created by pure patterns of form, colour and line. 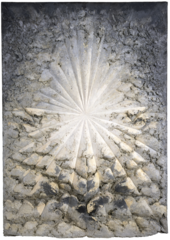 The idea, derived from the ancient Greek philosopher Plato, that the highest form of beauty lies not in the forms of the real world but in geometry, is also used in discussion of abstract art, as is the idea that abstract art, since it does not represent the material world, can be seen to represent the spiritual.